You know the story of Goldilocks – Papa Bear’s chair was too big, Mama Bear’s chair was too big, but Baby Bear’s was just right. I already have an adjustable bench that can be raised or lowered to suit a person’s individual frame size. A short person usually raises the bench, while a tall person usually lowers the bench. Even at its full height, my bench is still sometimes not high enough for a small one so I use foam play mats cut to size. 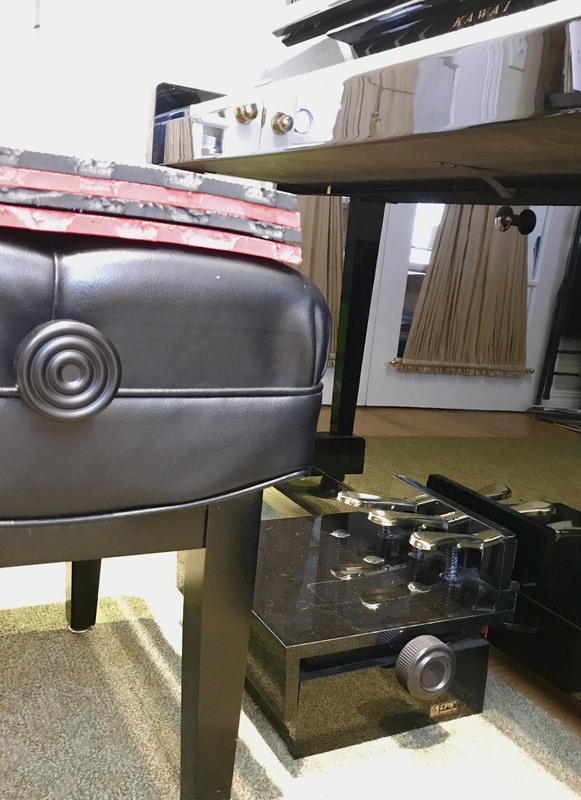 This year I purchased a footstool/pedal extender for my studio. I am very happy with the difference it is making in my young students. The students sit on their sitting bones, well balanced in their centre of gravity. Their feet are supported instead of dangling in the air, and they stop sliding off the front of the bench. The pedal extender allows them to reach the pedals. Since they are sitting in a stable position, it is easier for them to have a straight spine. This in turn allows their arms to move freely and the correct hand shape and finger strength to develop. support their feet – buy a simple wood or plastic step stool (don’t worry about using the pedals; we can work on this at lessons). Or this adjustable footrest. 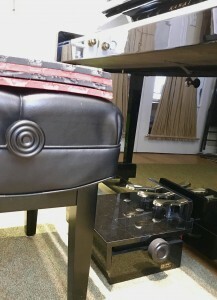 Or even this footstool/pedal extender. And just when you have this all figured out, your favourite little pianist will have a growth spurt and things will need to be adjusted all over again!